In the fierce hot dog wars of the Jersey Shore, there are two famous rivals, both of them in Long Branch. 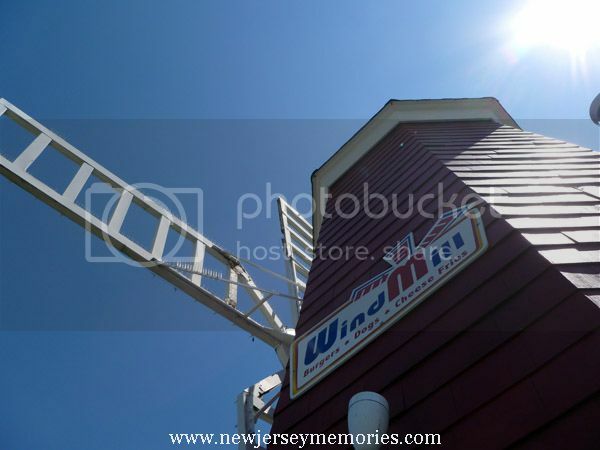 WindMill Hot Dogs has been around since 1964. 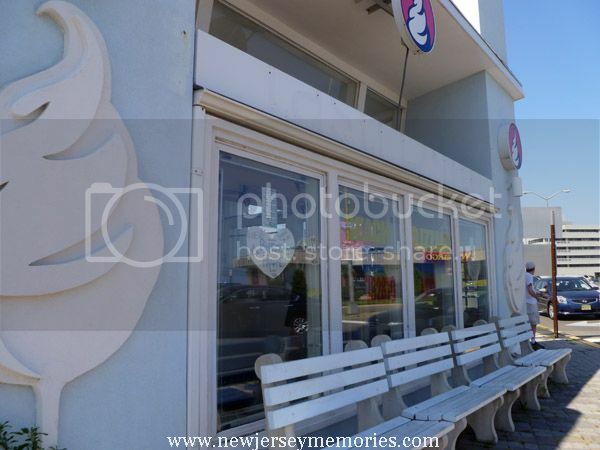 They are now a chain in several shore towns, but the most iconic is the first one in Long Branch. 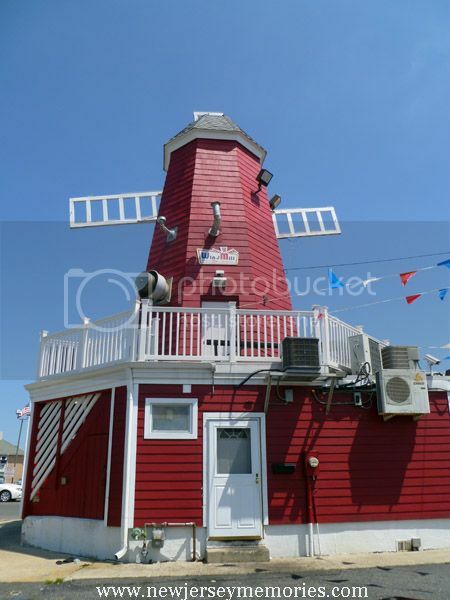 It is the only way shaped like an actual windmill. The view from the second floor of WindMill. You can climb to the second floor and look out at Ocean Avenue in Long Branch.The building on the right in the above photo is Tasti D-Lite ice cream, which we also investigated after lunch - strictly for research purposes, of course. It was a hot summer day, after all. WindMill's arch-rival is Max’s Famous Hot Dogs. They have been around since 1928. The intense rivalry has created fans on both sides. New Jersey celebrities that they are fans of one or the other includes Bruce Springsteen, Jon Bon Jovi, Connie Francis, Joe Pesci, John Travolta, several New Jersey governors, and the list goes on and on. I am not picking one over the other. In both places the hot dogs are HUGE but delicious. 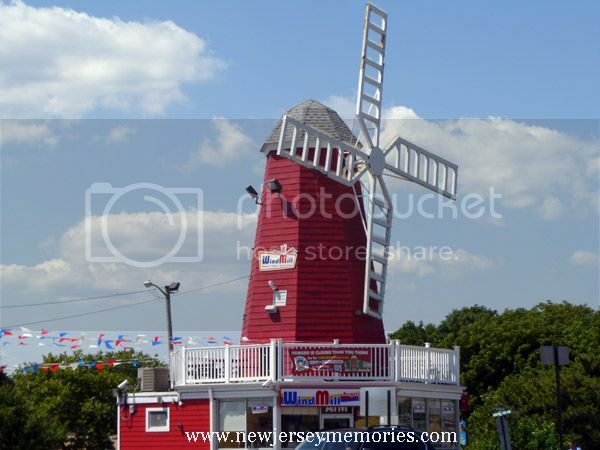 Max's closes during the winter, but WindMill is open year-round. Even so, these photos make me long for summer and lazy days at the Jersey Shore . . . I miss the shore..summer seems so far away now! 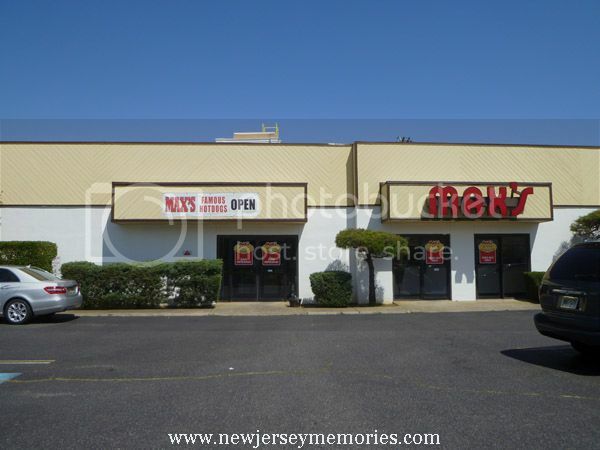 I have never been to those hot dog places but I have been to Long Branch. I miss the shore and summer, too! oohhhhh I LOVE long branch, our son lived in pier village for many years. 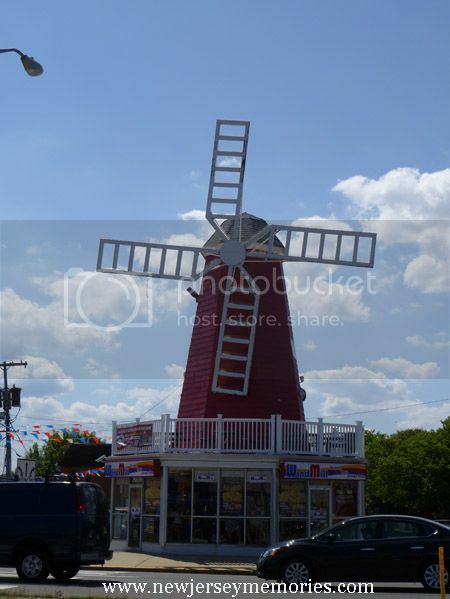 we have a windmill in brick where I live, so I eat there. when we go to long branch, I always want to go to sirena's on the beach, the food is amazing!! therefore, I have never tried max's....but always pass it on my way to pier village. they have a wonderful tree lighting ceremony in pier village, maybe the 29th or 30th. look in to it, they have great music, young singers and free hot chocolate and cookies!!!! That sounds like fun! Long Branch has some pretty places. They have gone through some tough times, but hopefully everything will be better for them in the future! I don't think I've ever been to Long Branch, but my friends and I spent many hours at the Jersey Shore during the 1960's. I still have two glasses from the Ocean Bay Diner. I think that's what it was called anyway. For all I know it could be long gone. We used to go to Seaside Heights a lot. 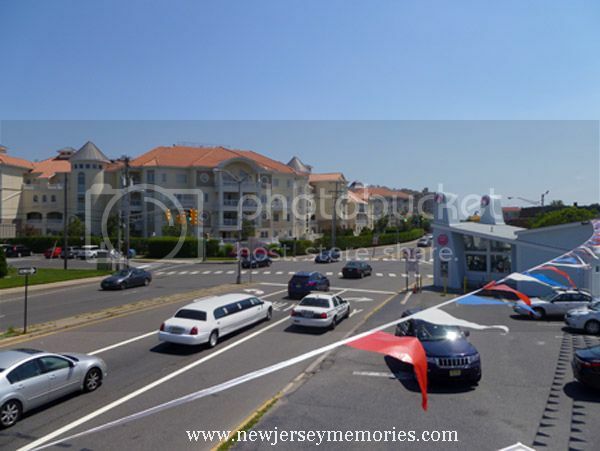 The Jersey Shore is a wonderful place, filled with memories . . ..